Wow! I sure got a lot of feedback on my first set of sketches. Here’s my second attempt at configuring a 48 channel Legacy Plus with integrated patchbays and options section into the control room of Manifold Recording. The major change is that now we have the master section and 16 faders to the left of the acoustic center and we have 32 faders and 6 echo returns to the right. This puts 32 inline channels (64 faders!) within the immediate reach of the engineer, while keeping the master section and most of the remaining channels in reasonable reach without moving from the sweet spot. 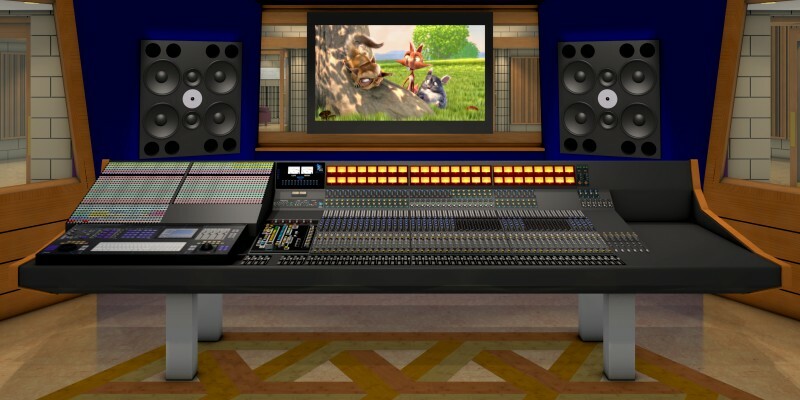 If the console can be split in the middle, I would seriously suggest putting the master section and the MC Pro in the center. It’s gonna be a real pain for an engineer to have to keep leaning over to the left to hit the record button and everything else that has to be done on the computer, which believe me, is a lot.